James in Anfield supporting the LFC. 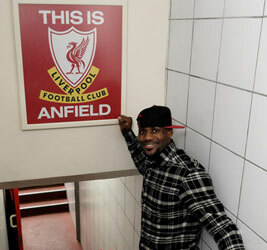 If you have not heard, LeBron James owns a portion of the Liverpool Football Club. James recently did an interview with Small Talk, a group of young children that support the Liverpool Football Club. Check out this video.